Country's biggest night has arrived. Stars flocked to Nashville to walk the red carpet ahead of the music-filled extravaganza — and their looks did not disappoint. From bright colors to eye-catching silhouettes, these country stars brought their fashion A-game. A few of the familiar faces? 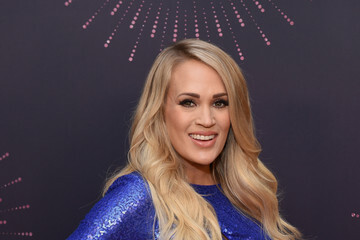 The show's 11-time host Carrie Underwood looked glam in her floral gown. Performers Kelsea Ballerini and Bebe Rexha knocked their looks out the park in hot pink dresses and dazzling sequins. Meanwhile, nominees such as Miranda Lambert, Maren Morris, and Kacey Musgraves were sultry and elegant in statement-making ensembles. Click through all the sparkling, vibrant, and unforgettable looks from the 2018 CMA Awards.